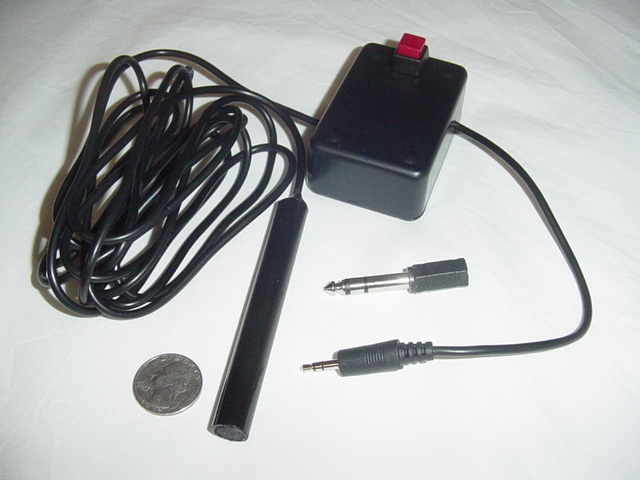 4. does not require complicated and expensive electronics to work. 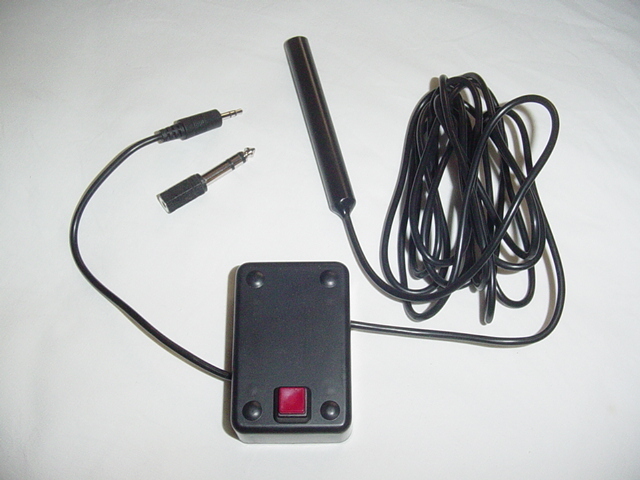 6. does not use expensive and complicated wires or connectors to work. 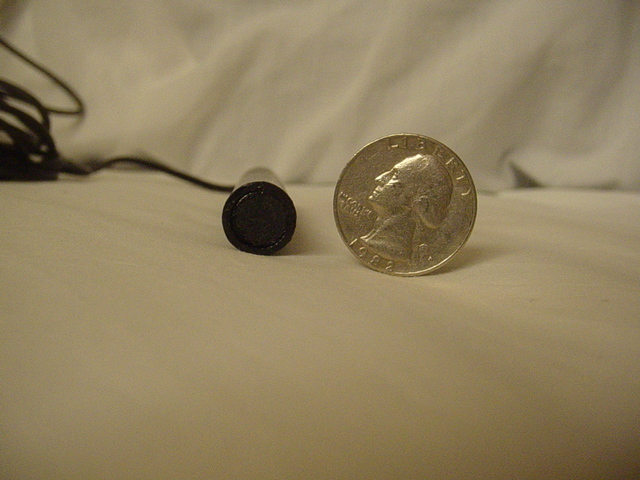 In fact if you wanted to, you could use ordinary speaker wire! It also comes with a sound pressure level decibel chart, for quick reference against all kinds of things like race cars, 40,000 watts of car stereo's, mosquitos, even bombs and volcanos! WE CALIBRATE AT A SUPERLOUD 127.0 db AT 20 HERTZ!!! Thats over 103db of range! It also goes super deep into the bass, you can measure on an oscilliscope or YOUR computer, see super low frequency door openings or closings at 4 to 8 hertz, or various nieghborhood sounds at 10 hertz. 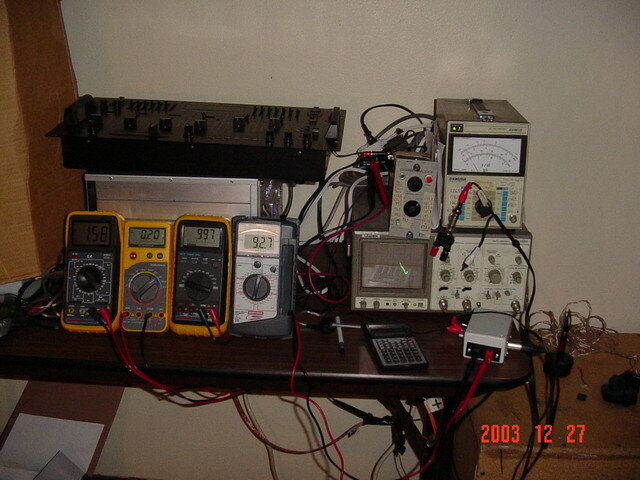 It puts out electric MILLIvolts so it uses an ordinary music or microphone mixer, digital oscilliscope, spectrum analyzer or computer. Look at the Extremely Low Noise Level Floor, that has been amplified about 30,000 times! So actual noise level is 44.9 decibels lower than the photos show. In fact this noise is from the computer. The microphone is quieter than the computer! 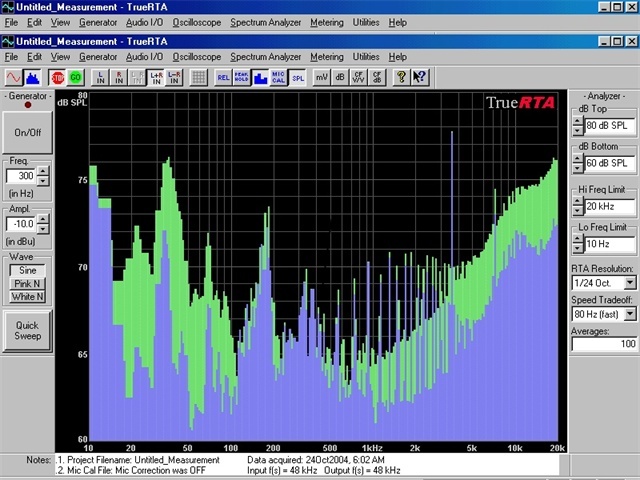 All RTA microphones come with individual calibration level, instruction manual, audio frequency test cd and computer software disk #1 (however, you need a computer for Spectrum Analyzer and Sound Meter). 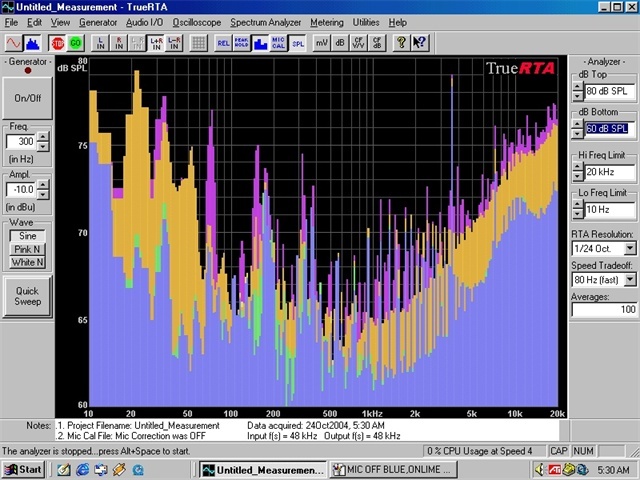 RTA Microphone with Spectrum Analyzer and Sound Meter, Computer Software (#2). Computer required, and is NOT included. This is a Laboratory Grade System for an unbelievable price! Free shipping within the DOMESTIC United States of America. PayPal Worldwide�eBay's service to make fast, easy, and secure payments for your eBay purchases!